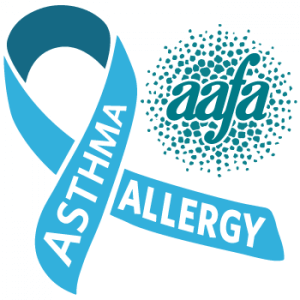 Nearly 26 million Americans have asthma, while an astounding 30% of adults and 40% of children have allergies. (Count yourself lucky if you somehow have neither!) This month, in the interest of offering information — and hopefully relief — we’re focusing on both asthma and allergies, and when to seek medical help for one or both. Once triggered, you may experience swelling, mucus build-up, and tightening of your airways. Luckily, there is treatment for asthma. Treatment includes avoiding triggers and/or taking prescription medication (ask your doctor which medication is right for you). If you think you or a loved one may have asthma, schedule an appointment with your primary care provider immediately. Asthma should be monitored and treated by a healthcare professional. Most people hear “allergy” and think of someone with hay fever — the classic sneezing-coughing-eyes-watering-runny-nose type of allergy. But an allergy describes any instance in which the immune system experiences something as harmful and overreacts, which triggers the productions of antibodies called immunoglobulin E.
Allergic reactions can induce irritating symptoms like watery eyes, a runny nose, sneezing, and a rash/hives, as well as more serious effects such as trouble breathing and mouth/throat swelling (called anaphylaxis). Problems with breathing or mouth/throat swelling can result in the hospitalization and even death. Medication: Ask your doctor which of the many options is right for you. Immunotherapy: Describes the prevention or treatment of a disease using substances that stimulate an immune response. Ask your doctor if this could help you! Asthma and allergies often go hand in hand — your allergies may, for instance, cause your asthma to act up. If you’re allergic to something and breathe or touch it, you may have an allergic reaction that then triggers an asthma attack. Controlling your allergies will help moderate your asthma; conversely, controlling your asthma can prevent your allergies from acting up.